When it comes to security cameras, there are many mistakes that can compromise the effectiveness of your surveillance system. Don’t make these mistakes when installing your security cameras. Don’t use indoor security cameras outdoors. Sounds like common sense, right? Indoor security cameras are tailored to indoor conditions, so using them outside would produce poor quality videos and images. And the same goes for outdoor cameras being used indoors – just don’t do it. Don’t mount security cameras in or near direct sunlight. Direct sunlight can damage your camera overtime, decreasing its overall lifespan. In addition, it can wash out images, deeming your footage useless. Consider investing in outdoor housing that can protect your cameras and adjusting the angle of your camera so that the sunlight does not interfere with your images. Don’t place your camera in an area where it will be completely exposed to the weather. You want to be wary of weather conditions when installing outdoor cameras. Be sure to check the IP ratings of the cameras and any additional housing you may invest in. And, if possible, install your outdoor cameras under the eaves for added protection. Don’t install surveillance cameras in areas that are not well lit at night. That is, unless you have a night vision camera. Cameras without night vision or a comparable feature will not produce any usable images in the dark. Don’t install cameras without informing employees, neighbors, the public, or loved ones. When recording, you must inform others that they are under surveillance. The easiest way is to install a well-designed sign in a high traffic area so that it is seen by everyone. Be sure to check with local laws and ensure you are in compliance with all laws before implementing your surveillance system. Don’t use substandard or weak mounting equipment. If your mounting equipment is not as sturdy, you decrease performance and safety and leave your equipment vulnerable to tampering or theft. Also, it should go without saying, but please do NOT attach your cameras to the gutter. Don’t place cameras where there may be obstructions. Again, this may sound like common sense but it must be said. While it may seem like there are no obstructions when you first install your cameras, sometimes natural elements can change that. For example, on a particularly windy day, a branch from a nearby tree may block your camera’s view. Be sure to consider all potential obstructions before settling on a location. By doing so, you may invite others to hack, damage, or disable your camera system. In addition, exposed wires can pose a safety hazards for young children and adults. Don’t place your camera where it will be easily accessible or within reach. Again, this makes it easier for intruders to hack, disable, or even steal your cameras. It helps to install your cameras high and out of reach, not only to prevent theft or vandalism, but to also get a better view of the area. Don’t merely place your camera viewing your front door. Of course the front door is an important place to monitor, but really, you should be watching all potential points of entry (ex. sliding doors, basement doors, windows). If you have any other security camera tips to share, connect with us on Facebook, Twitter, LinkedIn, and Pinterest. Need help finding the right security system for you? Choose SecurityCamExpert.com! We can guide you through the process of choosing the security cameras that will best suit your needs. If you are in Southern California, we can even install the system for you. Visit us online or call 888-203-6294 to learn more. Despite the presence of security cameras being a visual deterrent for potential burglars, some home owners would rather conceal their surveillance system. When security cameras are present, intruders may often attempt to damage or disable them, so hiding them may help to keep them safe. Visible security cameras can also be an eyesore, and may make it a bit awkward when you have guests over. However, if you’re going to conceal your security cameras, be sure to abide by the laws in your country and state. To be safe, you may want to consult with an attorney about legalities and the specific ways you plan to use your hidden cameras. Here are some clever ways you can hide your security cameras. Whether real or fake, hiding a camera in a potted plant is a great idea. Plants are a great way to liven up a room and not many would suspect to find a camera hiding there. Just be sure that the view is not obstructed by leaves or other parts of the plant. 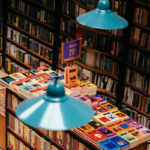 Not many burglars dart to the bookshelf when breaking and entering. You can place a small camera in a section that is rarely accessed, or even toward the top shelf for a better viewing angle. 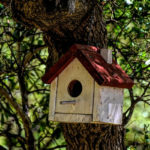 For outdoor security, you can hide a security camera in a birdhouse. Because there is often a restricted view with this, be sure to aim the birdhouse at the area you wish to monitor. Many of us keep tissue boxes around the house so why not hide cameras in there? You can make necessary holes in the box to hide the camera, and position as many as necessary around the home. This is a popular choice for nanny cams as you often find plush toys in the child’s bedroom or play rooms. Some hidden cameras are sold as plush toys, or you can do-it-yourself at home. Simply cut a small hole in the back of the toy, position the camera inside the head with the lens aligned with one of the eyes, support the camera with the stuffing and sew up the hole. Do you have any other hidden camera locations to share? Connect with us on Facebook, Twitter, LinkedIn, and Pinterest. For the best selection of indoor and outdoor security cameras and surveillance equipment, please visit SecurityCamExpert.com. Aside from our surveillance systems, we also offer installations services, site surveys, and free quotes – call 888-203-6294 to speak with one of our experts today! Spring is almost here! With warmer weather on the horizon, many of us may have vacations or weekend getaways planned. Before you leave your house unattended, make sure you’re doing your best to keep your home secure. Here are some helpful home security tips to safeguard your home and property. Your landscape can be an asset or a weakness to your home security, depending on how you utilize it. To protect your property, you want to limit the potential hiding places that your shrubbery can provide. Consider planting thorny bushes under your windows and be sure to keep them trimmed. You may also want to install motion-activated lights along your landscape to further discourage intruders. While online shopping is convenient, it leaves you susceptible to porch pirates. If you’re having packages delivered to your doorstep, work with the delivery companies to improve security. You can request a text when a delivery is made, require a signature upon delivery, or ask for packages to be left in a less prominent location. Another way to deter package theft is to install security cameras at your front door and around your home to monitor activity. You don’t want anyone passing by your street to be able to see all of your valuables. Instead, arrange your furnishings in a way that they are less visible from the street-side window. Also, keep your garage openers and car keys out of sight from any window. Store these in a cabinet or drawer to keep them hidden. You want to be sure that any point of entry, whether window or door, has the proper protection. Exterior doors should be metal or solid wood and at least 1 ¾ inches thick. Protect your windows with locks or burglar-resistant glass, and reinforce sliding doors with a metal bar. A security alarm can also be beneficial by alerting you when a door or window opens as well as alerting authorities when your system is breached. Personal habits can play an important role in your home security. Make it a habit to lock your doors and windows and arm the security alarm system whenever you leave. If you’ll be gone for more than a few days or on an extended vacation, you should make it look as if your home is occupied. Leave blinds as they would be usually, plan to defer your mail and other deliveries, and use light timers and smart home devices in different areas of your home. Bonus tip: If you are leaving your keys with a parking attendant, remove your house keys – tech-savvy thieves can duplicate your house keys by simply taking a picture of it. Share your own home security tips with us and your peers on Facebook, Twitter, LinkedIn, and Pinterest. Browse our wide selection of CCTV security cameras, video surveillance systems and more at SecurityCamExpert.com or call 888-203-6294 today! When it comes to security cameras, wireless seems to be the easiest and most convenient option. 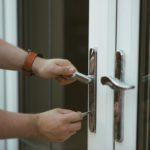 While some wireless security cameras are not always completely wire-free (most still need to be connected to a power source), battery-powered wireless security cameras are making it much easier to build a completely wireless security system. Here’s what you should look for when it comes to battery-powered wireless security cameras. This is a must for any security camera, regardless of the type. Consider what you want to monitor and look for specifications and features that will satisfy your requirements. Whether indoors or outdoors, if you want your surveillance around the clock, look for a battery-powered wireless camera that provides quality night vision. With these cameras, you should know that there are two types of night vision functions: infrared and starlight.Infrared is the most common and allows cameras to capture a clear vision in darkness thanks to IR LEDs built in around the camera lens. Starlight night vision has yet to gain popularity, but makes the most out of natural light to provide a crisper image than infrared. Because battery-powered wireless security cameras are not tied down by a power source, you must really take the internet connection and Wi-Fi range into consideration when choosing locations. 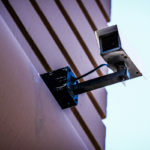 If you place your cameras in areas where there is spotty connection, your footage and overall security system could be compromised. Also, you must consider how many cameras you will be installing and whether or not your internet connection can handle it. This is especially important if you will be installing your cameras outdoors. You want to choose security cameras that are strong and durable to withstand harsh weather conditions as well as normal wear and tear over time. For outdoor cameras, look for IP66 or IP67 weatherproofing casing as these ratings provide effective protection. IP stands for Ingress Protection, and this rating is the rate of effectiveness of the enclosure of the camera against dust and water. The numbers rate the protection against dust and dirt (first) and the protection against water and moisture (second) – the higher the number, the better the protection. Fairly obvious, but battery life should be taken into consideration because without the battery, you have no functioning camera. Most of the cameras on the market today boast 6 months to 1 year of battery life. And most cameras deliver just that, while others do not. Be sure to pay attention to reviews and specs to ensure that you are getting what you pay for. But also, it is important to have backup batteries on standby. What else do you look for in battery-powered security cameras? Share with us on Facebook, Twitter, LinkedIn, and Pinterest. Find a great selection of security cameras, CCTV surveillance packages, and more when you visit SecurityCamExpert.com. Call 888-203-6294 to request a free quote or schedule a site survey today! Night vision cameras offer a bit more than standard security cameras. The ability to see in low light to near darkness enables surveillance around the clock. While you may understand how this can help you feel safer at home, many businesses can also take advantage of these benefits. 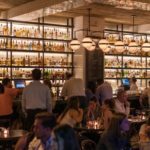 Here are some of the ways night vision cameras can be a great asset for restaurants. Aside from keeping an eye on the premises overnight, night vision cameras can do their duty during late night business hours. If customers are staying late, it can help make the closing staff feel safer. Most night vision cameras are fairly straightforward with their design, some being plug-and-play, making them easy to install and use. Depending on your system, you should have access to any camera feed at any location at all times. If your system permits, this may even be accessible remotely via your smart device or a laptop. Your recordings can immediately transferred to disk for long term storage. This backup allows you to review past video or share footage promptly should authorities require video evidence of an incident. The simple presence of a security camera can deter burglars from acting. However, in a restaurant setting, these things can easily be overlooked. With surveillance cameras, you may be able to improve inventory control and prevent employee theft. Along the same lines, if you have a bar in your restaurant, you can keep an eye on your bartenders. Over-pouring is way to lure customers to leave larger tips, but can leave you at a loss. If you come across this issue, you can refer to your footage and correct the problem. Whether among customer, employees, or both, security cameras can help to reduce violence or provide helpful evidence when a problem arises.Night vision cameras can also make your employees feel safe, as mentioned. Employees are happier with employers who show that they care about their safety and well-being. Security cameras in the workplace can alleviate management from the task of security as well as motivate employees and keep everyone on task. For a wide selection of night vision cameras, surveillance system packages, and more, please visit SecurityCamExpert.com or call 888-203-6294. You can also connect with us on Facebook, Google+, Twitter, LinkedIn, and Pinterest. Security cameras help to protect homes, businesses and various properties from burglaries, vandalism and more. Unfortunately, if they are not installed properly, they can do more harm than good. 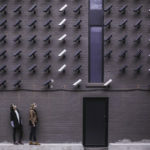 Before you invest and install a video surveillance system on your property, review these security camera do’s and don’ts. Place the camera where the roof or ceiling meets the wall. This spot naturally shields the camera from the elements, and it can usually give you the widest angle of viewing. Protect your cameras from weather, tampering, and vandalism. Depending on your security cameras location, you may need to invest in a weatherproof casing to shield it from environmental conditions. Also, be sure to mount your cameras out of reach and with a protective plate to prevent criminals from tampering, disabling, or damaging your equipment. Securely mount your surveillance cameras. Be sure that your cameras don’t shake or wiggle if walking or other movement sends vibrations to the wall. This instability could distort the images that your camera is transmitting and could potentially cause damage to your cameras. You may need additional mounting brackets or equipment to ensure your cameras are securely mounted. Place cameras in heavily-trafficked or shrub-heavy locations. Because bushes provide cover for intruders, having a camera monitor these potential hiding spots will improve your surveillance. You also want to have eyes on areas with heavy traffic such as walkways or gates. Set your base unit in your attic. This is often the most convenient spot for all of your cameras’ wiring to originate from. It also minimizes the need to string cables up and down walls if they can be run on the insides of your eaves under your roofline. Just install a camera in an area that won’t be well-lit at night. If you want surveillance around the clock, be sure that your security cameras have night vision or an infrared setting or lens that works in low light. For outdoor cameras, pair your cameras with exterior lighting with motions sensors if possible. Attach a camera to a gutter. This is always a bad idea. Despite being high up and out of reach, the camera is completely exposed to the weather and its weight will put undue stress on your guttering system. Limit your cameras to just your front door. You should be monitoring all areas where criminals can potentially gain access. Install surveillance cameras near your back doors, side entrances, and sliding glass entryways. You may want to consider a security camera at the top of your basement stairs in case someone gains access to your basement. Place a camera right above a basement window. This location leaves your camera within reach to be disabled or vandalized. Instead, mount a camera under the eaves or even a second-story roofline and direct the lens toward the basement window. This is not always the case. 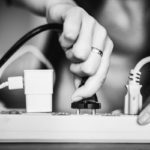 Even if your surveillance system operates using wireless signals, each camera and your base unit will still need to be plugged into a power source. Share your own tips with us and your peers on Facebook, Google+, Twitter, LinkedIn, and Pinterest. Your security is our priority! If you need help choosing the best security cameras for you, feel free to browse our selection online at SecurityCamExpert.com or call 888-203-6294 to speak with a representative directly. Outdoor security cameras aid in your first line of defense against criminals. The presence of outdoor security cameras can deter burglars from targeting you, or they can provide key evidence should an incident occur. Thus, the installation and mounting of your outdoor security cameras play an important role in the success of your surveillance system overall. Whether for home or business use, the height of your camera will determine what you can capture and the quality of the images. In a business setting, the camera should be able to view the surrounding area while still adequately capturing the faces of incoming customers and those around the front door. Thus, a security camera mounted at least 10 feet high should properly capture the faces and body types of individuals. For homes, you should mount a camera at least 3 feet above your front door and another at least 10-20 feet up to capture vehicles that enter and exit your driveway. If your cameras are not in the right location, they won’t be able to record crucial footage. You want your security cameras to cover all the main entrances to your business or home, as well as any potential weak spots (ex. first floor windows). For businesses, you also want to monitor your parking lot. Surveillance cameras in parking lots should be in a location that allows them a clear view of customers’ vehicles. And as mentioned, you should have a home security camera devoted to monitoring your driveway. 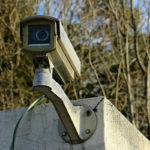 Surveillance camera laws can vary from state-to-state, however, hidden cameras in private places, such as bathrooms, changing rooms, or locker rooms, are forbidden in all states. Since outdoor security cameras are not located in private places, they can be hidden to some extent. But again, the visibility of security cameras alone can play a role in discouraging potential burglars from striking. If you decide on hiding your outdoor cameras, be sure to place a sign on your property informing guests and visitors that they are under surveillance. How have outdoor security cameras helped keep you safe? Want to share your own tips? Connect with us on Facebook, Google+, Twitter, LinkedIn, and Pinterest. Browse our selection of outdoor and indoor security cameras, along with PTZ cameras, network IP cameras, surveillance system packages, and much more at SecurityCamExpert.com. After investing your time and money into choosing the best security cameras to suit your needs, it can be frustrating to come across issues with them not working properly. When your security system is down, not only is it a nuisance, but it can leave your property vulnerable. Before giving up on your security cameras and shopping for new ones, review these troubleshooting tips for common security camera issues. Though it may seem like common sense, sometimes we overlook the obvious. If your security camera is not working, check all of the connections. Make sure that the camera is correctly connected to the power source as well as any other devices.For wireless security cameras – Check the Wi-Fi connection (if the wireless security camera is connected successfully via Wi-Fi). You can use a network cable to test the network connection. Ensure your router is working properly and, of course, check the power supply.For wired or PoE security cameras – Make sure video signal and power supply is well transmitted. For a PoE security camera, check the PoE injector or PoE switch is in order, compatible and working. If you have an NVR security system, double check that all the connections to the system are correct and secure. A majority of connection issues center around cabling problems. For example, if the IR LEDs do not turn on at night in the dark, it is likely a cable problem and no images or video recordings will come out.To check this, use another cable to connect the camera to see if the problem is solved. For a PoE security camera, you use a Cat 6 or Cat 5 Ethernet cable. It is easy to forget about camera settings. You may find that your security camera doesn’t do 24/7 recording, no motion detection alerts, can’t connect to Wi-Fi, or can’t record video at night all because you did not set up the settings. Remember: Security cameras do have features, some of which have been enabled by default and some that need manual enabling on your end.There is usually computer software or an app for a mobile device that is in place so you can easily control and manage your system, such as adjusting the settings accordingly. The “Golden Rule” in IT troubleshooting is to reboot the device. When you reboot a security camera, it flushes the cache, recalibrates the settings, and revises the connections. 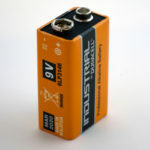 To reboot you camera, directly unplug the power supply, wait for a few seconds, and plug it in again. On a computer that is connected to your cameras, go to the Windows search box and type “cmd” to open the DOS command prompt. You can type the command “arp -a” to see if there are any IP conflicts. You may type the command “ping cameraIPaddress -t” (ex. for IP address 192.168.0.999, type “ping 192.168.0.999 -t“). If you received results with “Unreachable” or “Timed Out” it means the IP security camera is not connecting to the network. You should change the camera’s IP address or assign a new one. Most manufacturers regularly release firmware updates to fix security camera issues and glitches, and also to add new features. Make it a habit to regularly check the brand’s official website to see if new firmware has been released for your camera and update accordingly. Remember to make sure the firmware you download is the correct version for your security camera.If you can’t connect to the security camera via software, it’s likely due to incompatibility of the software and firmware. If you are updating your firmware, be sure to check for updates for your software as well.Remember, it is best to use the software or app from the manufacturer since it is designed to work with all the features of your security camera without compatibility issues. While third-party software exists, it may or may not be fully compatible with your cameras. This is often one of the last ditch efforts to resolve an issue. Factory reset means all settings and configurations will be removed and will go back to the “factory default” settings (you will need to enable features and other configurations again).Some security cameras come with a reset button, while others may come with a pinhole as the reset function, requiring a needle to enable factory default. Most of you problems or questions can be answered by checking the FAQ section of your manufacturer’s website. Search keywords about your problem and you should get related troubleshooting methods. If the FAQ section did not help, you may want to reach out to the company from which you purchased your equipment. Most companies offer tech support and you can reach out via email or phone call. Remember to provide as much details as possible and a professional technician should be able to help you fix the problem or offer alternative options accordingly. If you need help choosing the right security cameras for your property, as well as installation services, feel free to contact us! You may browse our selection online at SecurityCamExpert.com or call 888-203-6294 to schedule a site survey or get a free quote. You can also find us on Facebook, Google+, Twitter, LinkedIn, and Pinterest.